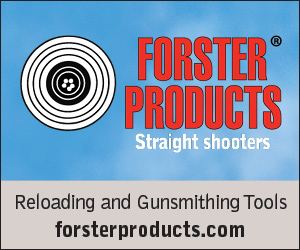 Forster Products has been making some of the world’s most popular precision reloading and gunsmithing tools for over 80 years. Many of our products are recognized as industry leaders such as the one-of-a-kind Co-Ax Press, our precisely made Headspace Gages, our versatile Universal Sight Mounting Fixtures, and our quality-manufactured and time-tested Case Trimmers. Discriminating shooters appreciate the quality construction and attention to detail, and Forster wouldn’t do it any other way.